Nearly all cannabis shops in Alaska are temporarily shuttered after the holiday rush depleted their weed stocks. The shortage has strained the state’s entire supply, leaving dispensaries scrambling to find an alternative. Marijuana has been legal in Alaska for nearly two years, but that doesn’t mean it’s easy to come by. A shortage of wholesale bud has left numerous stores across the state struggling to find supplies to meet the demand of Alaskans. 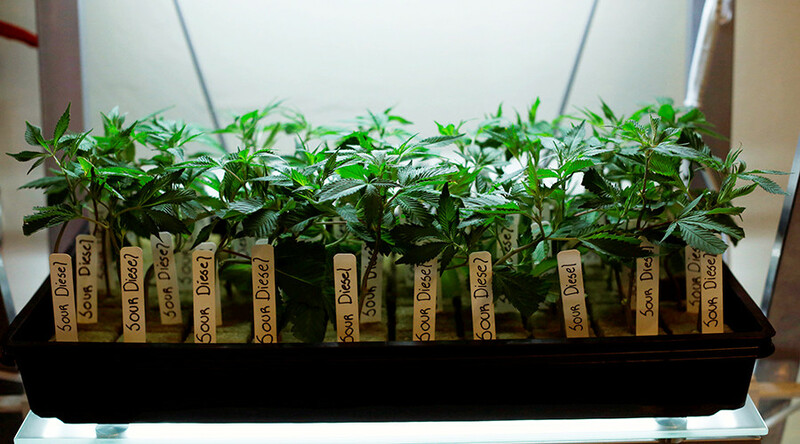 While there are 26 growers in the state, the high demand has made the dispensary industry “a little bit cutthroat out there right now," Dankorage co-owner Craig Aglietti told Alaska Dispatch News. Some shops in the state have opted to open when they have enough stock to justify daily operational costs, while others decided to close up shop until mid-January when their own crops will be ready for harvesting. Part of the problem is that Anchorage lacks suppliers and has instead been purchasing wholesale supplies from more northern areas, such as Fairbanks, draining supply there. As a result, the entire state crop has sold out leaving growers desperate. “At this point companies are offering to prepay for our crop for the next year," Leif Abel, co-owner of Greatland Ganja on the Kenai Peninsula told Dispatch News. While most dispensaries are confident that they’ll be able to meet demand by February, the summer poses a similar challenge because of a predicted influx of tourists. "By summer we'll be looking at an industry that will look totally different than what it looks like now … come summer '18, it's going to be unrecognizable" Keenan Hollister, owner of Pakalolo, said.